My Real Estate Career has been exciting and at times scary. The scary part was the mortgage melt down that turned into what is now called the Great Recession. I was able to persevere and sell at Top Producer levels and beyond through this trying time in America. This is largely due to clients who trusted me and were kind enough to refer me to a friend or in recent years, come back and work with me again on their next Real Estate adventure. I am blessed beyond measures! At age 14 I started a lawn business and grew it to where I was mowing 35 yards a week. 1995- I worked in the construction world. 2005-I started my Real Estate career with REMAX. Terry Taylor has sold a lot, a home, and a rental for us over the years. He is our "go to" guy. We highly recommend Terry as a professional who knows his business and will always have your best interest as his priority. It was easy for us to give him 5 stars all around! Terry helped me sell my home and purchase another in late 2015. He made an excellent impression from moment one, explaining the the process I'd face looking to sell my house while buying another (my prior home was my first home so I never had to deal with a timing issue of selling and buying). Terry was very knowledgeable of what was on the market with regard to my needs and wants and was very engaged in the process of finding me exactly what I was looking for in a new home, not just looking to sell something to get a commission. In selling my home, there were a few hiccups with the inspection that required me to make a few repairs in order to sell the home. Not only did Terry know people who could help me with those issues, he contacted them for me and even met with some of them to get the issues addressed when I was unavailable. To say this man takes pride in his work is an understatement if I have ever heard one. Not only do I recommend him to everyone I know, I now consider him a friend and would gladly refer him to my most important people. He was excellent when we bought our home. He helped me negotiate a good price. He helped me clarify in my mind what type of home I was looking for. He was great at all levels and I will use him in the future and have already recommended him to my family. Terry started out as our realtor, but became our friend. 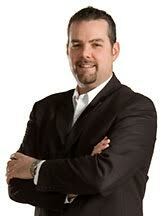 He strives to provide the best service for his clients from home shopping to closing. I would highly recommend Terry to anyone in the market for a new home! I needed some information about some rental property value. At the time, I was unsure if and when I was even going to sell. Terry was very helpful in helping me find comps for my rentals that were quite unique and difficult to appraise. The professionalism that he showed throughout this process, not even knowing if it was going to result in monetary gain for him, was top notch. Terry not only got me the information I requested, but did so in a very timely manner. He was very responsive to my questions about how the whole process works. Terry has helped us buy and sell our homes and we are so grateful! Along with being knowledgeable of the industry, he is a genuine and kind person. He is not pushy but is always willing to work for you. When we got in a bidding war on our current house, his kind but firm personality helped us get the house of our dreams. With selling our house, he knew when to list it for optimal views so that we received MULTIPLE offers. Additional perks were that he paid for professional photos of our home when selling and we could use his moving truck for free.